In Saijo, Hiroshima Prefecture, the largest room in the home of Hisao Maegaki, president of the sake brewery Kamoizumi Shuzo, is set for a feast. Zabuton floor cushions and red ozen, the low tray-tables traditionally used for dining in Japan, form a circle on the tatami floor, and the windows look out onto two exquisitely manicured rock gardens. The guests of honor are eight sake educators from around the globe who have come to Japan for an intensive, five-day training course created by London’s Wine and Spirits Education Trust (WSET), one of the world’s most respected certifying bodies for wine and spirits professionals. 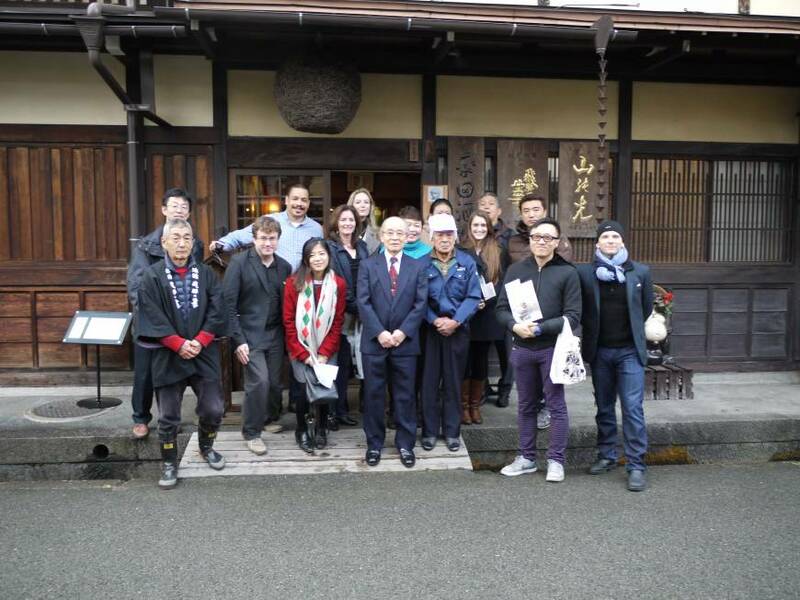 While the main purpose of the trip is to gain a deeper understanding of Japan’s national drink, the trainees also get a crash course in cuisine and omotenashi (hospitality). “We wanted to give insight into Japanese food culture, which is such an important part of sake culture and something that we want these educators to take back to their home countries,” says program liaison Toshie Hiraide. 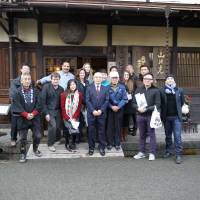 Co-organizer of the Sake Samurai project, Hiraide works closely with the government to promote the drink outside Japan. Last year, the former sommelier convinced the Ministry of Agriculture, Forestry and Fisheries to lend support to WSET for its new sake-education program, which will provide an advanced-level certification that mirrors WSET’s Level 3 award in wine and spirits. “A global sake education program is a useful way of introducing Japan to the world, and all prefectures can benefit from tourism and exports,” she says. In early November, WSET officially launched its Level 3 award in sake in London and will offer the certification in other key sake markets starting next month. The course, which runs for three weeks (a three-day option is also available), will cover the sake-making process, tasting, service and food pairing, in addition to the drink’s history and cultural significance. At the start of the week, the group had traveled to Gifu Prefecture to visit boutique sake makers — including Hirata Shuzojo, whose aged brew, 1995 Jukusei Koshu Hidanohana Suiou, received the prestigious Champion Sake Award at this year’s International Wine Challenge. Next, the educators toured large-scale producers Sakura Masamune and Hakutsuru in Kobe’s Higashinada Ward. The final day of the program involved sensory evaluation seminars and lectures exploring the scientific side of sake at the National Research Institute of Brewing in Hiroshima. One of the highlights of the course was a presentation by sake and food technology consultant Shuji Horie, who discussed changes in Japanese food and sake culture from the Yayoi Period (200 B.C. to 250 A.D.) through the Edo Period (1603-1868). By the end of the week, the trainees were exhausted, but exhilarated. For more information on the course, visit www.wsetschool.com. Melinda Joe is an American journalist in Tokyo and a certified wine and sake professional. She blogs at tokyodrinkingglass.blogspot.com. Follow her on Twitter @MelindaJoe.